California’s two major fires—dubbed Camp Fire and Woolsey Fire—have led to tragic losses of life and property. The images of smoke, flames, and devastated homes have focused the nation’s attention on the state, and have led Americans to ask what they can do to help. Chico, California-based Sierra Nevada brewery was itself just barely spared by Camp Fire; now, its owners have created a fund through Golden Valley Bank to spread money to organizations working on rebuilding. Founder Ken Grossman and his family personally chipped in $100,000 to start the fund. 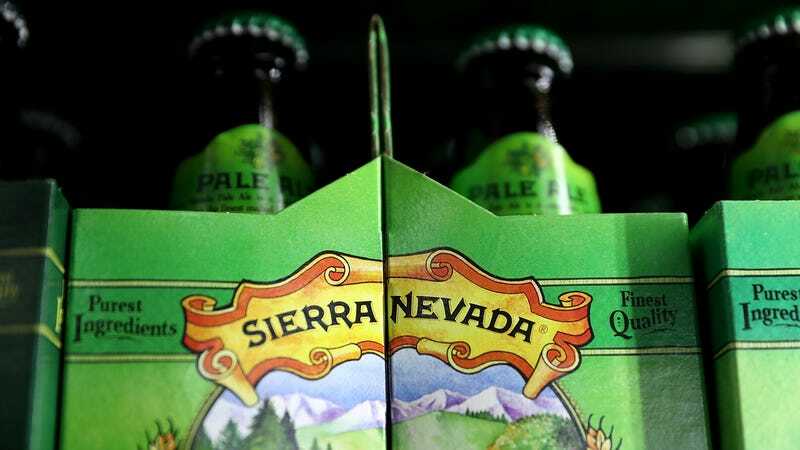 The beer community has praised Sierra Nevada’s response to the fire, which forced the brewery to close temporarily. Once it reopened, Sierra Nevada tweeted that it would provide free meals to first responders and displaced residents, and that residents who lost property could come take free clothing merchandise from the brewery’s store. A Sierra Nevada spokesperson told Brewbound the Camp Fire displaced about 10 percent of the brewery’s Chico-based workforce. In other wildfire relief news, The Takeout’s favorite good dude Guy Fieri was also contributing his culinary efforts by cooking meals for Camp fire first responders.